The Newest Gem of the Pacific awaits your Big Island Vacation Pleasure in a Breathtaking Private Setting at Famous Waikoloa Beach Resort . . . Surrounded by Lush Tropical Grounds & Gardens and Manicured Ponds, framed by Swaying Coco palms . . . 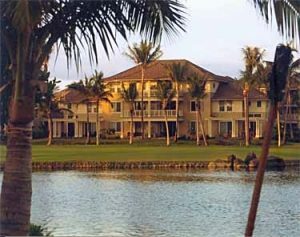 In an Exclusive Guard-Gated Community Just a Short Stroll to one of the Nicest Beaches on the entire Big Island . . . at the All New Fairway Villas! Paradise Calls as you Enjoy Spectacular Sunsets while Sipping your Favorite Tropical Drink from the Privacy of your Own Double-sized Lanai . 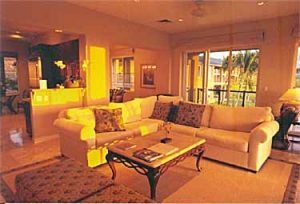 . . at this Award-Winning Big Island Vacation Getaway Featuring your choice of Spacious 2-Bedroom, 2-Bedroom & Loft or Luxurious 3-Bedroom Big Island Condo Rentals. Superb Property Amenities for your Vacation Pleasure showcase a Stunning Infinity Pool and Elevated Waterfall Spa, Adjacent Championship Golf with Preferred Guest Rates, Fitness Salon & poolside picnic areas with Gas Barbecues . . . . And Just a Short Walk to the Sparkling Sands of the Emerald-Blue Pacific! 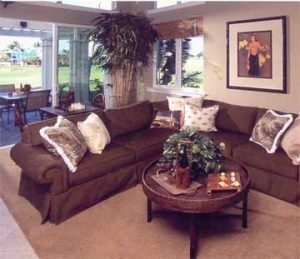 Spectacular Views, Luxury Kitchens with Stainless Steel Appliances and Granite Counter-tops, Vaulted Ceilings (many units), and Designer Decorated Living Rooms & Master Bedrooms. 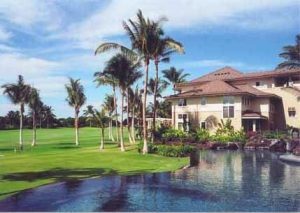 Your Big Island Tropical Vacation Getaway Features a Stunning Hawaiian Plantation Design that Blends a Hawaiian Architectural Theme with Luxury Appointments. Discover Paradise Found on the Exclusive Kohala Coast . . . at Famous Waikoloa Beach Resort . . . at the All New Fairway Villas. Reserve your Spot in Paradise Today! 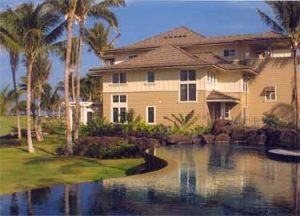 Savor your Choice of Deluxe 2 Bedroom Big Island Condo Rentals that comfortably accommodates 6; 2-Bedroom + Loft Designer-Decorated Villas that sleep 8; Or Luxurious 3-Bedroom Hawaii Condo Rentals that accommodate up to 8 Guests. All Linens & Towels Provided.